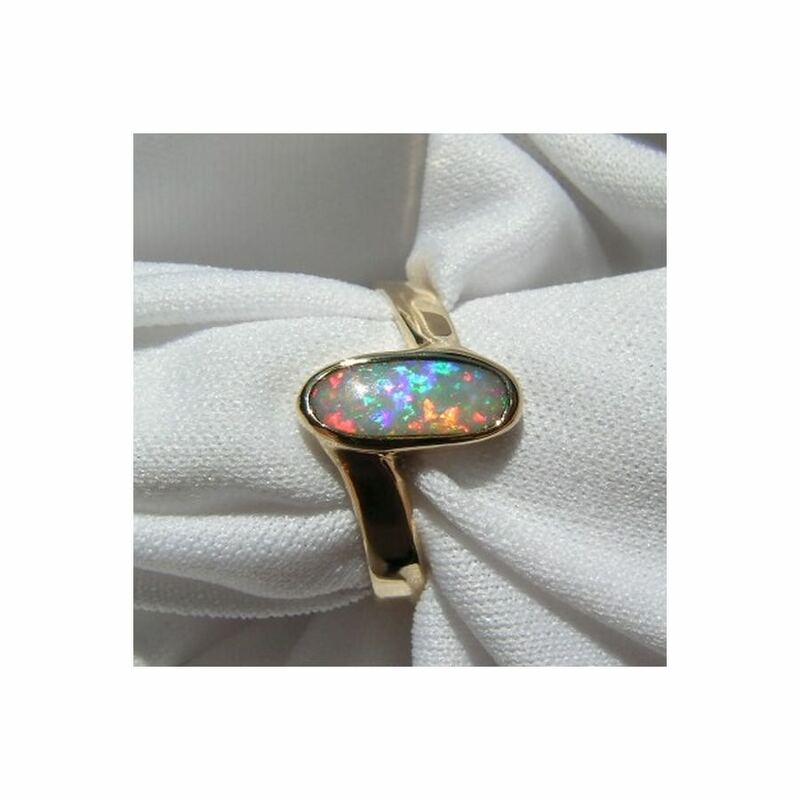 A stunning handmade Opal ring in 18k Yellow Gold with a bezel set Lightning Ridge Semi Black Crystal Opal. 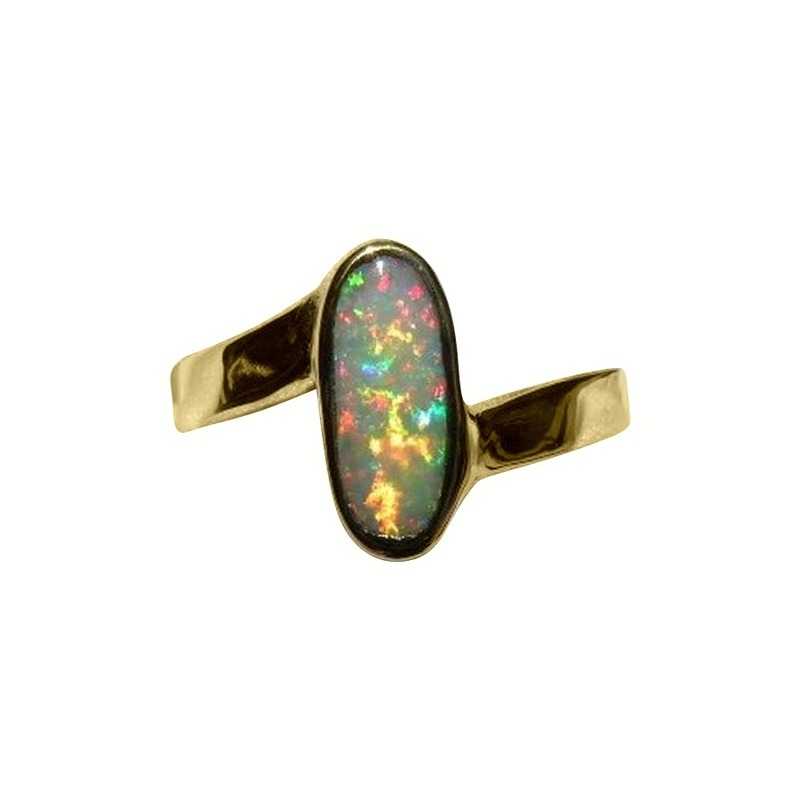 This ladies Opal ring is handmade in 18k Yellow Gold and is bezel set with a vibrant Opal that displays a range of bright colors in a lively pattern on a closed back. 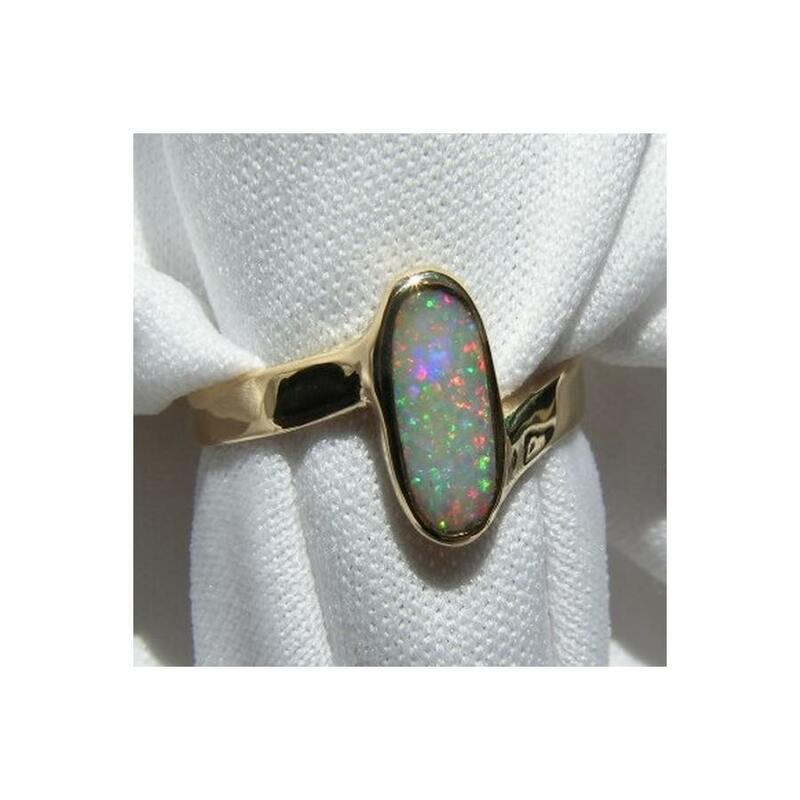 The Lightning Ridge Black Crystal Opal is a long oval with the 18k Gold ring weighing just over 3 grams and is built around the Opal to show off the fiery colors and look elegant on the hand. 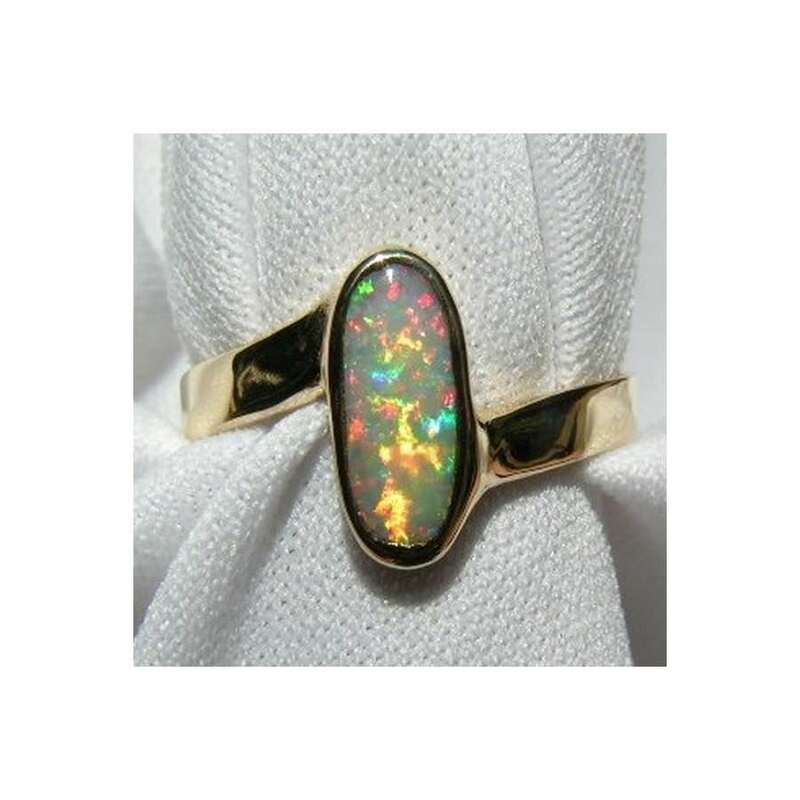 The band on the ring is a good width and rather than the typical straight band, it curves on either side of the beautiful Opal. 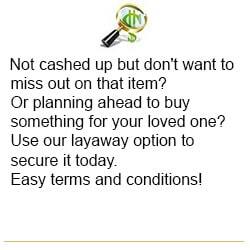 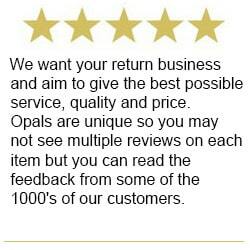 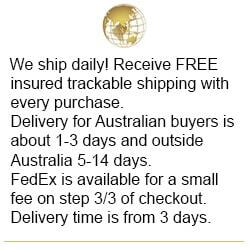 This is a quality Opal ring that will be noticed when worn and is ready to ship as detailed below. 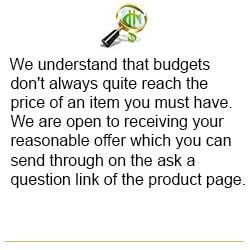 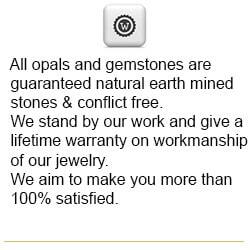 If the ring size is too big or small, it can be resized by a reputable jeweler near you as long as he knows how to work with Opal. 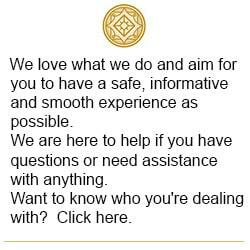 We suggest contacting your jeweler to confirm he works with Opal rings and can resize this style of ring before purchasing.